I. Just as the passion of Christ it Is necessary for the expiation of sin, so his active obedience and righteousness are necessary for the gaining of eternal life. (1) The law binds us both to punishment and to obedience. To punishment, because it places a curse on anyone who does not perform all the words of the law (Deut 27:6). To obedience because it promises life only to those who keep it completely (Lev. 18:5: “Whosever does these things shall live by them”; Luke 10:28: “Do this and live”). The distinction between legal and evangelical righteousness does not invalidate the statement, for the gospel, in Christ, exhibits the same righteousness that the law demands. (2) This twofold satisfaction corresponds to our twofold misery; namely, the guilt of sin and damnation, and the absence of righteousness (Rom. 3:23; “All have sinned and fall short of the glory of God”). (3) Righteousness, in the true and accurate meaning of the word, consists of actual obedience (Deut. 6:25; “it will be righteousness for us, if we observe these precepts in their entirety before Jehovah”). (4) Christ fulfilled this actual obedience either for himself or in our place [nostro loco]. But it was not for himself; Therefore, it was in our place. This is evident from Christ’s relation to us. Whatever he was or did in the course of his complete obedience, he was an did in our place. [Some theologians] object to this statement on the ground that only Christ’s passive obedience contributes to satisfaction and merit. They grant that the active obedience has a place in our redemption and salvation, but only as something required [of Christ] and necessary for his work. It was required for two reasons: the law of creation, and the need for his sacrifice to be acceptable to God and for him to be a holy priest. The first element in this conception is false because at this point Christ is not to be compared to other men, life, just as the Son of God was made a creature not for his sake but for ours, So also he was subjected to the law not for his own sake but for ours. The second element in the above conception confuses holiness or innocence with obedience or actual righteousness, which differ no less than do privation [privatio] and [positive] disposition [habitus]. Innocence is indeed a necessary condition for Christ sacrifice, but actual obedience is not only a necessary condition of the Christ as priest, but also a part of his satisfaction and marriage. If the actual disobedience of Adam is a cause of meriting damnation, why is not the actual obedience of the second Adam a cause of meriting salvation? The conclusion that we reject would only be possible if we were willing to say that the first Adam is more important for our damnation than is the second for our salvation. II. The commandment of the Father, which Christ obeyed, was both special and general. It was special with respect to its purpose, in that he obeyed not for himself but for us. It was general with respect to the object: he was subject to the same law which was prescribed for us, and in all those matters to which the law bound us. Those who teach that only the passive obedience of Christ has merit, maintained that his obedience was only to a special commandment of the Father to die for us. However, this was not a special commandment, but part of the commandment; in fact the obedience of Christ extends to all the requirements of the law. Therefore, since the law bound us to both punishment and obedience he satisfied each of its requirements. Christ Merited Our Salvation By His Active Obedience As The Second Adam—Johannes Wollebius, Compendium of Christian Theology (1626), transl. John W. Beardslee in John W. Beardslee, Reformed Dogmatics (New York: Oxford University Press, 1965), 106–08. A Treatise On Justification by Faith - by Archibald Alexander, D.D. 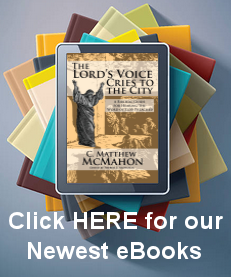 Justification by Faith Alone - by W. Gary Crampton, Th.D.